Tear-shaped outline. 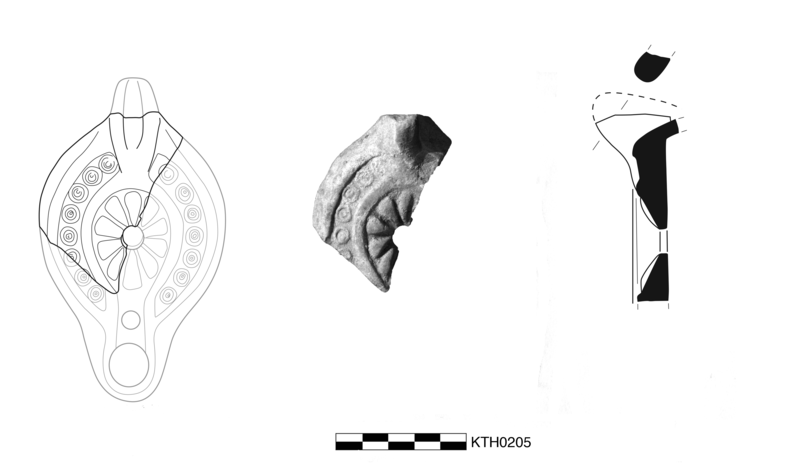 Oval discus has central filling hole, relief of irregular rosette with 11(?) wide petals, and high, raised rim. Shoulder has wide, shallow groove with double concentric circles. Tall, thick, solid, vertical handle. Thick, uneven seam with slight joining ridge. Clay: 10R 6/6, light red. Slip: 10R 5/6, red. Late Roman Athenian fabric (cf. KTH0177): somewhat smooth, hard fabric with rare, very small, subangular black rocky inclusions and very rare, medium-sized, angular, black rocky inclusions. Matte, very thin, somewhat smooth but uneven wash of slip, somewhat flakey. 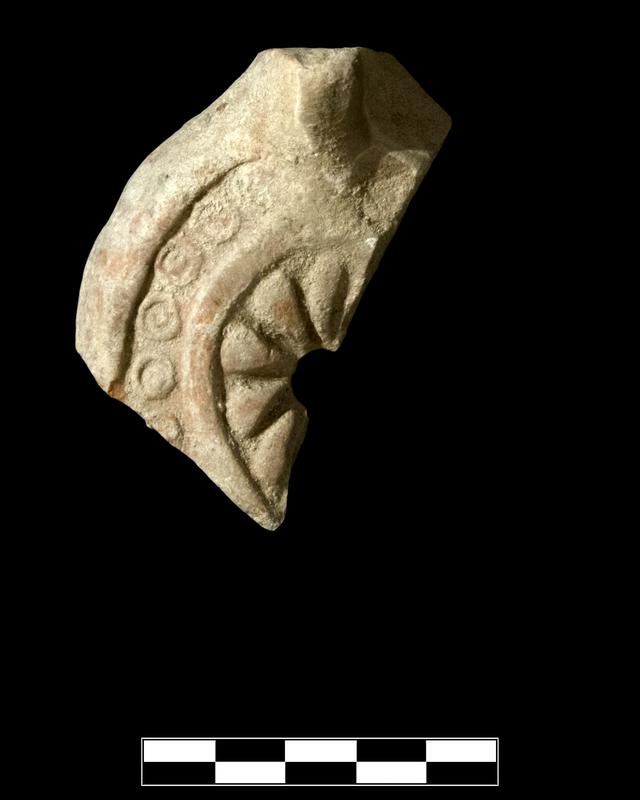 One fragment preserves roughly half of discus, one third of shoulder, and one half of handle. 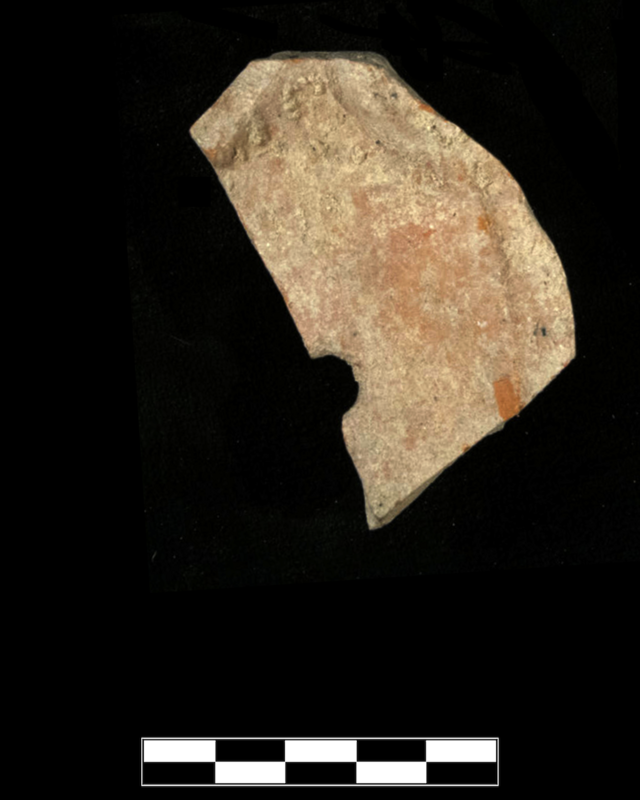 Slight, sparse abrasion; thin, extensive encrustation around upper discus and handle.